The Long Honduran Night – Book Talk by Dana Frank. Support refugees seeking asylum at the US border. Learn more about the situation that drives them to leave their countries, and the US role. Hear UCSC Professor Dana Frank tell about conditions refugees from Honduras face at home, and the US role in creating the crisis. Sunday, February 24, 7 pm, at the Resource Center for Nonviolence, 612 Ocean St, Santa Cruz. Dana Frank will discuss her new book, “The Long Honduran Night: Resistance, Terror, and the United States in the Aftermath of the Coup.” It’s a powerful story which examines Honduras since the 2009 coup that deposed democratically-elected President Manuel Zelaya. 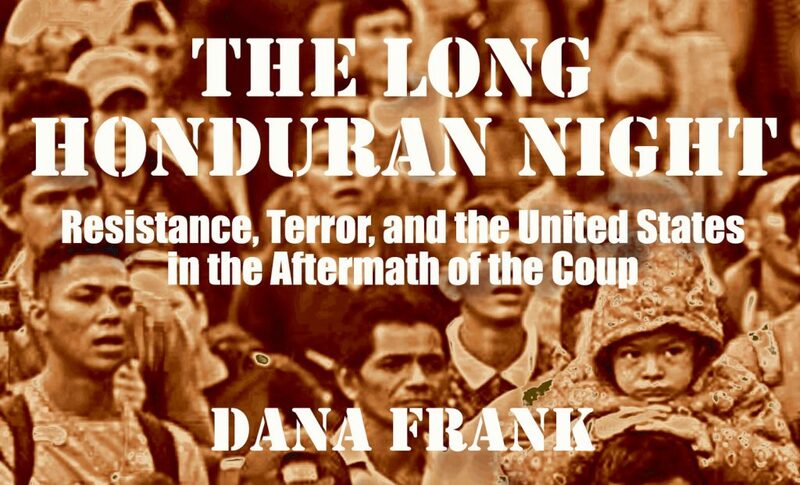 Dana interweaves her personal experiences in post-coup Honduras and in the US Congress with a larger analysis of the coup regime and its ongoing repression, Honduran opposition movements, US policy in support of the regime, and Congressional challenges to that policy. Her book helps us understand the root causes of the immigrant caravans of Hondurans leaving for the US, and the destructive impact of US policy. Suggested donation $5-10. Books will be available for purchase. Posted in Nonviolence, Politics, Social Change.